The par-72 Uganda Golf Club (UGC) Kitante course will be no place for the fainthearted as professionals tee off for the Uganda Professional Open this Wednesday. 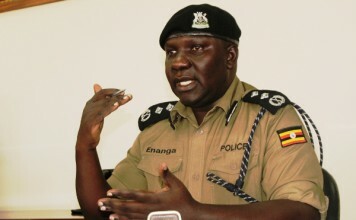 The10th Professional Open category promises to be one of the stiffest competition ever with confirmed entries indicating 71 professionals aided by a lucrative cash kitty of Shs100m, with the winner bagging Shs35million. Only two Ugandans (Deo Akope twice and Vincent Byamukama) have won the prestigious championship since its inception in 2006. 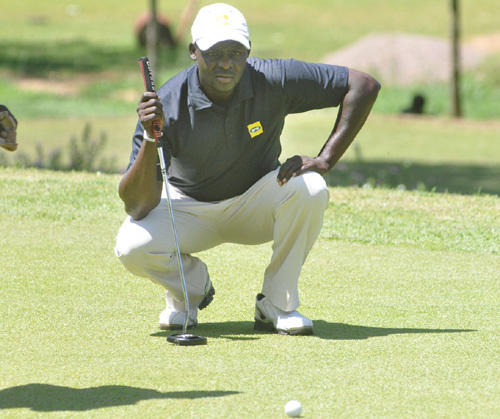 Uganda’s’ chances lay firmly on two-time and defending champion Akope, 2013 champion Vincent Byamukama, distinctive long hitter Denis Anguyo and Eskom Open2015 winner Herman Mutawe while debutants Willy Deus Kitata, who returns from Everyball Counts PGA National Golf Club in Florida, USA where he has been chasing a PGA Tour card and Peter Ssendaula and Phillip Kasozi must prove their worth as rookie professionals. A raft of professional golfers, will have Professional Golfers of Kenya (PGK) Association fielding the biggest number (28 players), seven more than hosts Uganda. South Africa (6), Zimbabwe (3), Swaziland (2), Tanzania (2), Zambia (1) and Mauritius (1) all have representatives. The field is not short of class, big names and tough customers, South Africa’s Teboho Sefatsa, Thabang Simon, Tyron Roelofsz together with the country’s number 6 Michael Palmer currently in the number 10 in the Big Easy Tour Order of Merit and Jason Froneman, who is number 6 in the Tour Order of Merit. Zambian Madalisto Muthiya who is number 39 on the Sunshine tour, while Zimbabwe will have Tongoona Charamba, Farayi Chitengwa while Swaziland will have Meshack Zwane and Arthur Horne Junior all in the mix. Ghana’s and Beige Village Golf Resort club Awudu Holler and Nigeria’s Gift Willy from Terra Wood Club in Port Harcourt will be some of the foreign professional golfers that will be taking part becoming the first West African golfers to feature at the Uganda Open Golf Championship for the first time. Kenya’s gulf is led by five-time winner and last year’s runners up hard hitting Dismas Ndiza Anyonyi from Mumias Golf Club, David Wakhu, Royal Nairobi Golf Club, Nelson Mudanyi from Muthaiga Golf Club, and Charles Wangai the captain of Professional Golfers of Kenya. Meanwhile amateur champion Ronald Otile, runners up Richard Baguma, Gideon Kagyenzi and Becca Mwanja are also eagerly waiting to rub shoulders with the professionals. 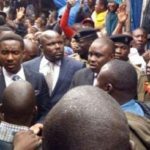 Previous articleCongolese player in intensive care after head injury.